In the heart of this city of artists, a welcoming hotel serving gourmet cuisine that brings together generous portions of produce from both land and sea. Our charming and enthusiastic team will take care of you. 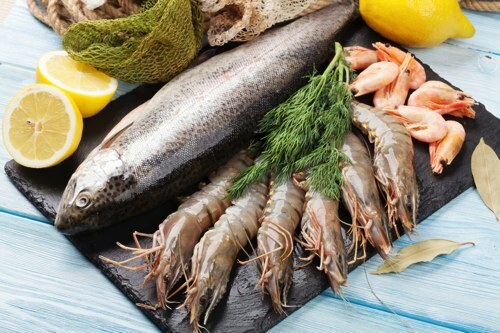 Discover traditional cuisine with a contemporary twist, highlighting the best of produce from both land and sea. A large hotel in the perfect spot for a family holiday, a romantic weekend or a city break. Discover the artistic side of Pont-Aven, its many ever-changing artists' studios, and the new museum just next door to the hotel, which pays tribute to Gauguin and others. When you feel like venturing a little further afield, all manner of sights awaits you: the Bois d'Amour forest, the GR 34 trail, boat trips down the estuary, Les Glénans sailing school and much more: there's something new to discover every day, just a stone's throw from the hotel. After contributing to the tail end of the Impressionist movement, Paul Gauguin was one of the leading forces of a movement that was later dubbed the "Pont-Aven School". In the late 19th century, the Pont-Aven School brought artists of various styles to the town, united by their appreciation for the fields that ran alongside the Aven and the area's rocky coasts. Between them, they developed concepts such as Synthetism, the practice of only depicting the elements of a painting that are likely to stick in the viewer's memory. La Belle Angèle, a painting completed by Gauguin in 1889 and currently on display at the Musée d'Orsay, was inspired by "the beautiful Angèle", an innkeeper. 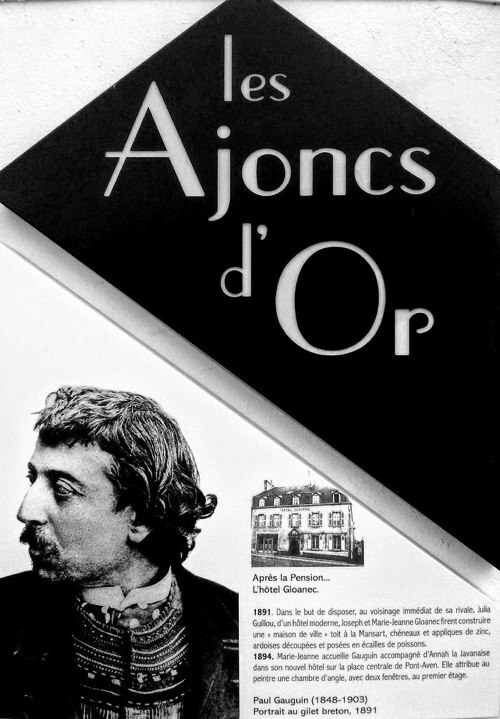 The Hotel des Ajoncs d'Or, then called the Pension Gloanec, played a special role in Gauguin's life: it was one of the preferred meeting places of the Pont-Aven School, Gauguin stayed there, and it was there that he met Émile Bernard, the inventor of Cloisonnism, in 1888. The latter went on to experiment with Synthetism and Symbolism, concepts whose influence continues to loom large over the creative process of artists today.